The building’s lot dimensions are 25x100 ft with approximately 16,000 sq. ft of gross area. The building will have 8 floors comprised of a ground floor commercial space and 7 residential floors. In 2004, following the foundation excavation at the adjacent lot, the 118-year-old Landmark building located at 74 Grand Street began to slowly tip over. 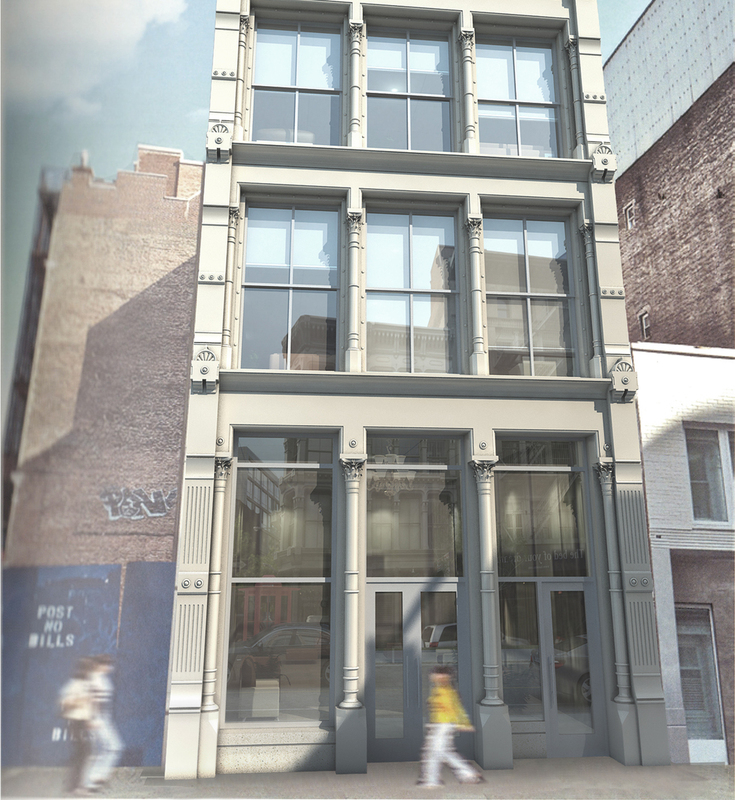 In most cases, this would have prompted a quick demolition, but since 74 Grand Street lay within the borders of a historic district, the Landmarks Preservation Commission deemed the preservation and restoration of the historical cast iron façade and mandating that any future development must incorporate the old cast iron façade. The building shall represent restoration of the original façade with an addition to the building set behind. The proposed design manifests the connection between old and new with the incorporation of a linear slot of windows on party wall elevations. This slot of windows attempts to bridge the two entities of old and new.